Long before tough dogs were being whispered to on national television, we had, in my opinion, the first fella to perform such derring-do. 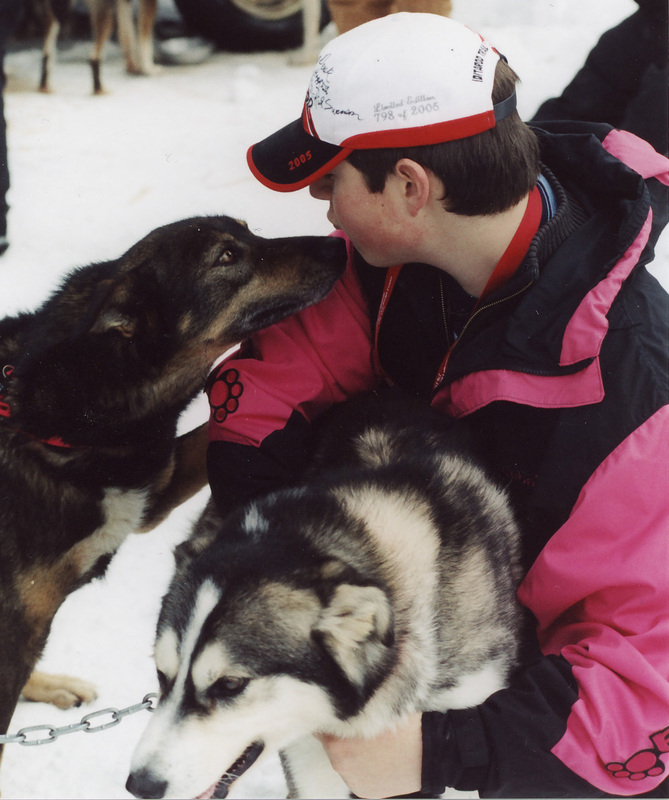 This is my favorite kid in 2005 at the Iditarod restart in Willow, Alaska. He's coaching Rick Swenson's sled dog team to do their best over the next thousand miles of wilderness trail. The only five time winner of the Iditarod? Oh yeah, that Rick Swenson.